Hi there people, it's me again! First of all - thank you for this amazing response to my Giveaway. We've reached almost 400 comments which is a huge number. Wow. Thank you for visiting my blog and taking time to participate! You are so loved! Reading your comments I've noticed that idea of Art Basics and Art Ingredients working together is new to many of you - which is great, as you will have a lot of fun playing, experimenting and discovering the possibilities just like me :) There were also the questions from you - mostly: where to start? Here I can help! 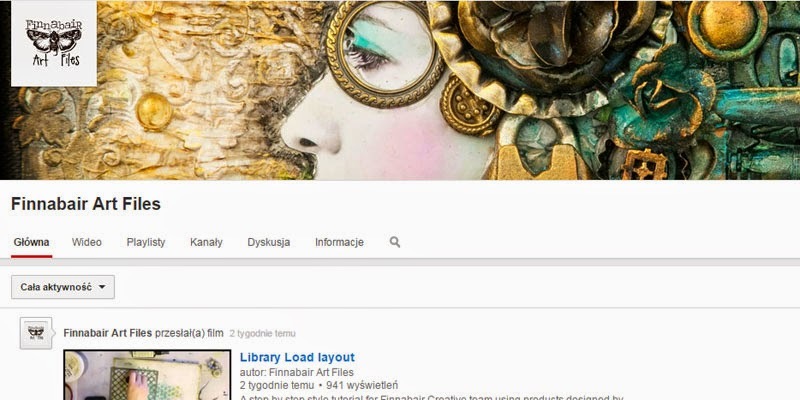 I think the best way will be to take a cup of tea, coffee or any other during you prefer and have a peek into my Art Files: Tutorial Videos section of the blog. I've updated it today for you adding all the new demos and techniques which were taped in the last couple of months. I'ts all waiting for you! 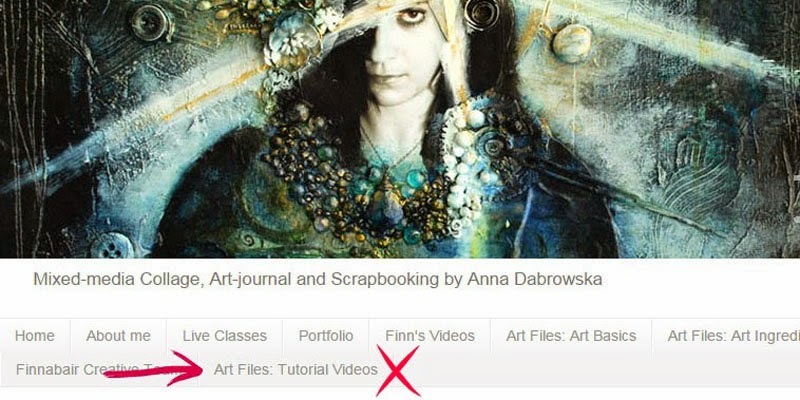 My second suggestion will be following our great Creative Team blog posts with tutorials - posted every Monday and Friday here and follow my Art Recipe Wednesday - my own projects with product info, some visual inspiration and tips and step-by-step information for anyone to try! There is also our You Tube Channel if you want to stay tuned and find our CT Videos with ease. Check it out! 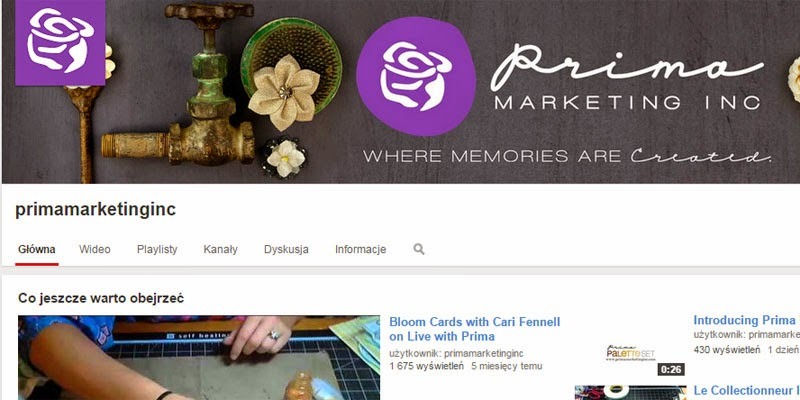 My next tip will be following Prima You Tube Channel - my products are being used by many of the artists showing their tutorials during Live with Prima shows - why not subscribing and following the on FB too? I hope my suggestions will be helpful and you will dig a bit in the sources to get some information and inspiration out of them! To give you a good start I've got 2 brand new videos - demos I've made for Scrapbook Expo during Winter CHA 2015 featuring my new Art Ingredients of course: Mica Powders and Micro Beads! And finally - time to announce our Super Lucky Giveaway Winner! 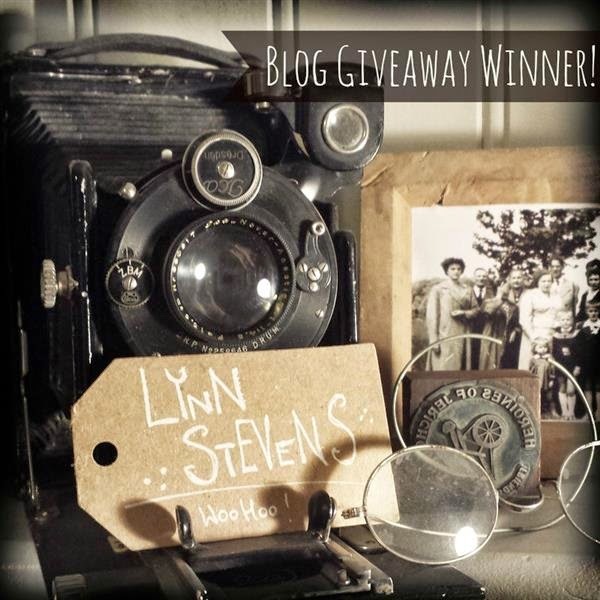 Huge congrats to Lynn Stevens from Trash to Treasure Art blog! Lynn, please contact me on my email please! We'll be happy to send you the prize! Woo hoo! Lucky lucky Lynn! well done. Congrats to the winner! Thanks for the chance to win. Congrats to Lynn, and thanks for all those links - I was signed up to quite a few of the possibilities, but it's always good to know new places to learn things. amazing news! congrats lucky winner! And thank you for the update on tutorials. Lovely to get new sources for inspiration... Wohooo. Blog Giveaway Time (with video)! Back from Winter CHA 2015!